I grew up listening to my grandparents’ stories around the kitchen table. My mind was rich with images of children riding their horses to the schoolhouse, men and burros walking deep into the coalmines each morning, and children crafting campfires to keep from shivering at the mountain swimming hole. On my dad’s side of the family I am born of Italian olive growers who came and learned to mine the Colorado Rockies for three generations. My mother’s heritage is comprised of Welch hard-rock miners who came to Colorado to extract coal, and to try their luck at dry-land farming. My work connects me to my roots and my people. I use clay, which comes to me from the mining of the earth. I honor the harvest by smoothing clay around pumpkins, melons, and squash. And in the tradition of the women in my family, I lovingly mother each piece into existence. My objective is to make pottery worthy of the harvest – to create organic art that communicatesabundance and the patience for ripening. In my living practice today, I invite the grace of the harvest into your bowl, your teapot, and your plate. My greatest reward, beyond creating pottery, is to witness my clients as they hold various pieces in their own two hands, listening very closely to discern which belongs with them. Would like to purchase some pottery this weekend. Do you have a studio in Carbondale? 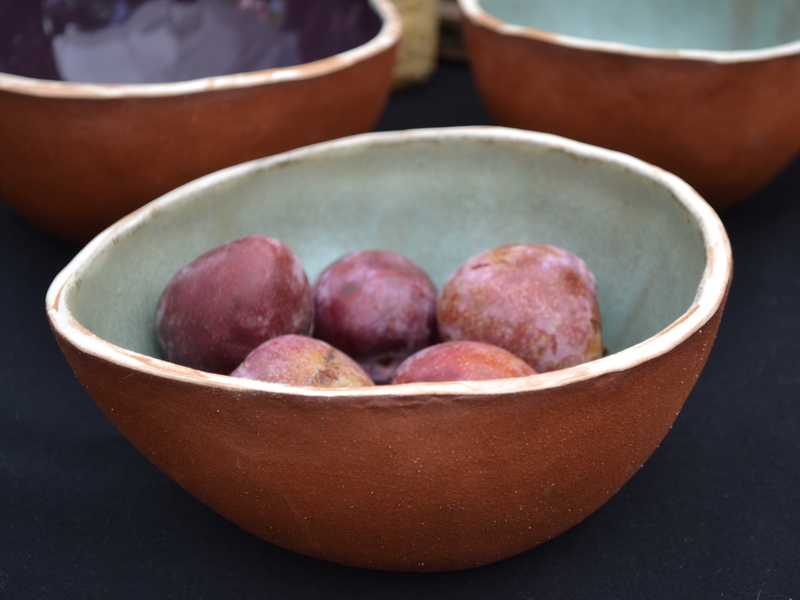 Michelle – I bought your pottery in Aspen three years ago and have been looking for you since to get more – I love using the bowls I have and am setting up a condo in Aspen. Are you still making pottery? Would love an answer – or find out where you are working now.